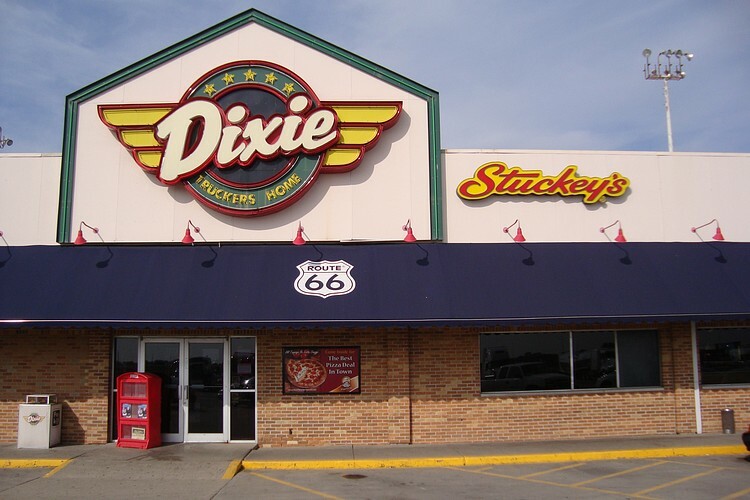 Established in 1928 at the intersection of U.S. Route 66 and Route 136 in McLean, Illinois, Dixie Truckers Home is the oldest truck stop in America. It was established by J.P. Walters and John Geske in 1928 on old US Route 66 as a small sandwich stand in a truck mechanic’s garage. By 1930, quickly growing demand had necessitated expansion into a full-size restaurant. Since 1928, this haven has been providing fuel, a bite to eat and a place to rest for weary truckers. The Dixie Truckers Home has since changed hands and has an updated look, but, still continues to stand along Route 66 serving the truckers and travelers of the Mother Road.